A fabulous nine seater capacity rattan corner dining sofa set and ottomans will allow you to use your outdoor space in style. 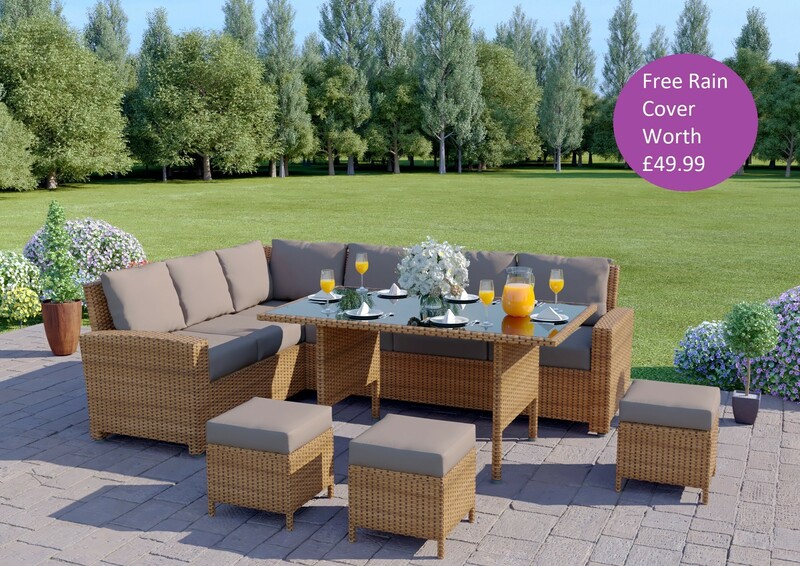 Made from premium PE rattan weave and featuring washable cushion covers this light brown nine seater rattan sofa set will provide years of stylish enjoyment. 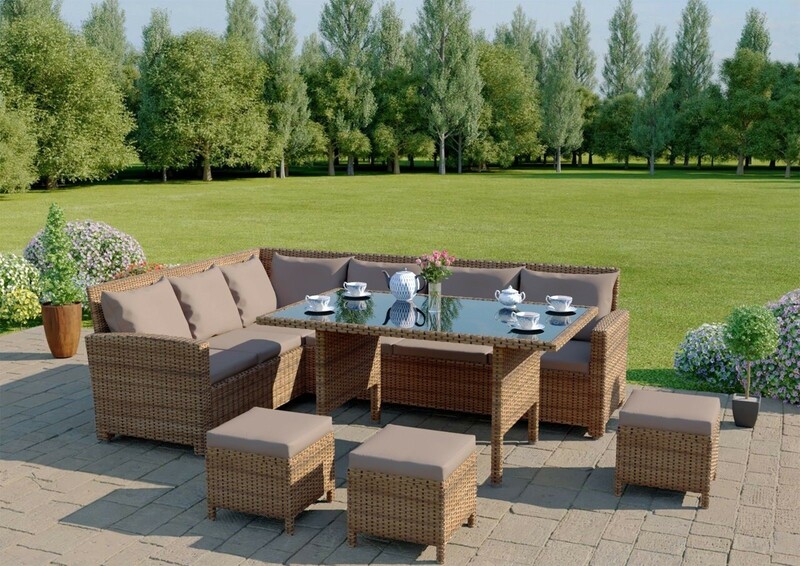 Featuring a tempered safety certified glass table top you can be assured that safety and quality is at the heart of this and every Abreo rattan garden furniture set. This set is designed with a unique light brown mix and combined with light coloured cushions to create a uniquely modern look and feel.